Going from site to site trying to compare drum sets can be a pain. 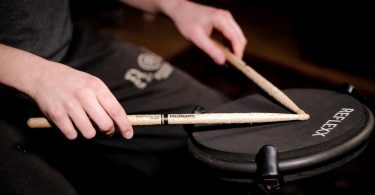 In this article I’ve compiled a list of what I think are the best drum sets you can buy today. 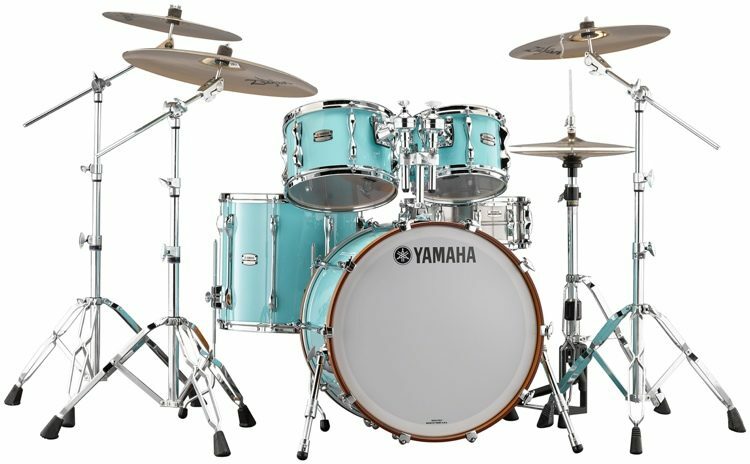 In 2016 one of the best drum set brands, Yamaha, collaborated with iconic drummer Steve Gadd in order to revamp its well known Recording Custom Series. The result? A legendary drum set suitable for all situations and styles of music. The shells have been re-designed to give more punch and clarity, while at the same time expanding the tuning range. The North American birch 6-ply shells are fitted with weighted Hi-Tension Lugs which help enhance lower frequencies, stop excess ringing, and allow for reduced interference from adjacent drums. Without having to rely on a mute, the weighted lugs ensure optimum sustain for the core sound, producing a crisp, articulate tone. The bass drum is actually lifted up off the floor which helps maximize the resonance of the bass. It provides a more punchy sound and accentuates the sound produced in the core of the shell. They also lengthened the length of the beater rod and centered it to give perfect accuracy when striking the bass drum. All Recording Custom toms are equipped with YESS mounts which help minimize the contact between the shell and the mount, leading to wider dynamic range and longer sustain. They are also equipped with coated Remo Ambassador Heads, which are perfect for creating a warm clear tone. The snare is offered in a few different options - brass, stainless steel, and aluminum. Each comes a set of Steve Gadd signature ten-strand snare wires that are designed to offer additional sensitivity, a more natural tone, and greater dynamics. With such fine attention to detail and the engineering help of one of the world’s best drummers, it’s no wonder that this kit sounds as good as it does. It's truly one of the best drum sets you can get. 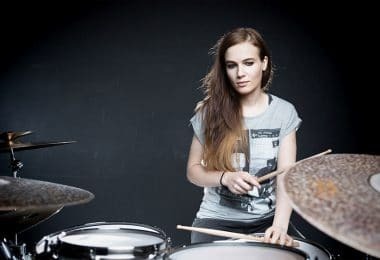 There's a reason why Sonor is endorsed and played by some of the best drummers in the world - drummers like Benny Greb, Tomas Haake, Gavin Harrison, Chris Coleman, and Steve Smith. First introduced in 2017 is the Sonor SQ1 series. 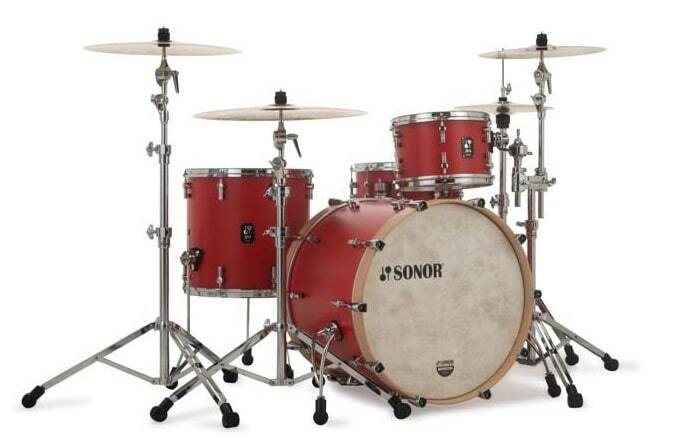 After a lot of extensive testing with different materials, Sonor landed on 100% European Birch. They decided that pure Birch gives the most versatile sound and provides balanced lows, mids, and highs. 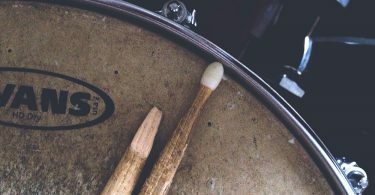 After teaming up with various scientific institutes in order to optimize the acoustic performance of the drums, they ended up developing the new Sound Sustainer technology which is based on concepts applied in the automotive industry. A 2-component connection (rubber to metal) enables complete isolation of the metal mount and the wooden shell. This guarantees a particularly long lasting and clean decaying sustain, not just for tom toms but also all floor toms in the SQ1 series. Hardware innovations include Sonor's renowned TuneSafe lugs, which keep tuning stable between takes. The 14" x 6.5" SQ1 snare drum features fast-attack Remo Ambassador coated drumheads as well as a smoothly functioning Dual Glide System snare strainer with a licensed Dunnett quick release. One interesting thing to note is that Sonor undersizes the shells a little bit in order to let the drum heads float freely on the shells. This unrestricted contact allows for greater sustain and tone at all tunings. The colors and styles of the SQ1 series are beautiful and unique. They get inspiration from mid-20th century classic cars and motorbikes and come in 4 modern matte lacquer finishes including blue, red, green, and black. Tama’s new flagship Star drumkit overtakes the aging Starclassic series and improves upon it in almost every way, although it will make a big dent in your wallet in the process. The drum shells are unique in that they have a solid ply core which give it a lot of warmth and depth compared to other kits. These shells have a very bright and open attack. 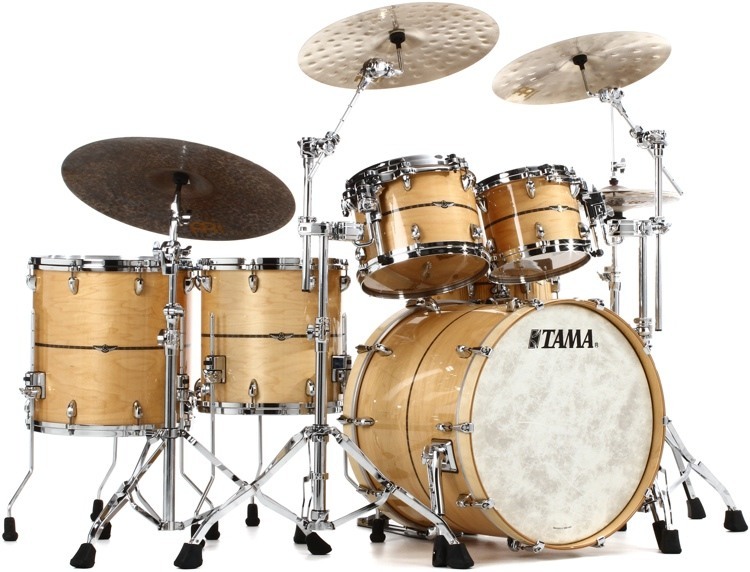 This kit features Tama’s Super Resonant Mounting System. Basically it’s a 3-point mounting system that minimizes strain on the shells and hoops. The rubber contacts isolate the shells and allow for long resonance. It also features a memory lock feature called “Quick Lock” which allows you to lock the position of your toms so that when you tear down and set up your kit you can get it right back the way you like it. The Star series seems to be all about minimal contact. The bass drum hoop is secured by claw hooks that barely touch it. The floor toms legs are actually air-cushioned as well. This allows for maximum resonance and an amazing tone. If money is no barrier for you, then the Star series is the best you can get when it comes to Tama. If you prefer to spend a lot less, the Starclassic series still sounds amazing and is worth looking into as well. 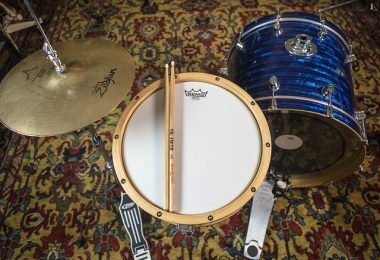 The DW Performance kit is a little more on the affordable side of things and still manages to sound great and hang with other high end drum sets. The shells feature DW’s HVX technology, which stands for horizontal, vertical, and diagonal. The inner ply has diagonal wood grain while the outer ply has a horizontal grain direction. This different in wood grain tends to round out the low-end quite a bit, but it still maintains the volume and projection that DW kits are known for. Performance Series drums are available exclusively in Chrome. This includes lugs, hoops, STM™, and tom legs. 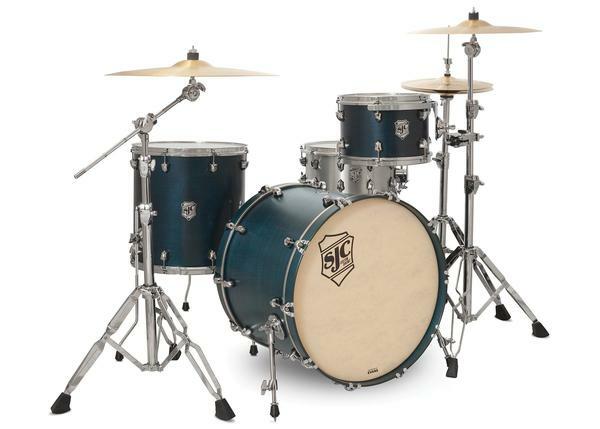 The Performance Series "turret lug" is a scaled-down version of the famous round DW lug, while the snare drums get a unique "propeller" look all their own. DW’s patented STM (suspension tom mount) system allows drums to vibrate freely, allowing maximum resonance while securely holding the drum in place. Because there are no washers or grommets inhibiting the lug rod receiver, choking is reduced and tuning is as easy as ever. On thing that’s really great about the snare drum is that it comes with DW’s new MAG throw-off system. It gets its name from a magnet that's integrated into the body of the throw-off. When the handle is in the up position, it won’t release without a slight tug. When it does release it throws the strainer completely off the head to avoid any strainer buzz. SJC Custom Drums was started in Massachusetts as a hobby by the Ciprari brothers out of their Grandmother's basement in the year 2000. What they started has become a shared passion for musicians across the world. Their brand is quickly becoming known as a top contender for quality drum kits. The shells on the Tour Series are made thin, which is good news for drummers who are constantly lugging their gear around. They are 100% maple, and feature 45-degree hand-cut SJC bearing edges which let them ring out nicely. SJC's proprietary die-cast Shield Lugs promise solid tuning dependability and are super-quiet since they don’t use springs. Great for studio recordings. All drums come pre-equipped with select Evans drum heads right out of the gate, so after some very quick tuning you will be up and running in no time. There aren’t too many color options to choose from which has left a bad taste in some reviewers mouths, but I personally think they look beautiful. You can choose from Black Satin, Blue Satin, or Golden Ochre Satin. Ludwig drum sets have a very distinct sound, and the Classic Maple is no exception. The extremely versatile 7-ply shell is crafted to respond to the player and environment quickly, making it adaptable to any playing style or preference. 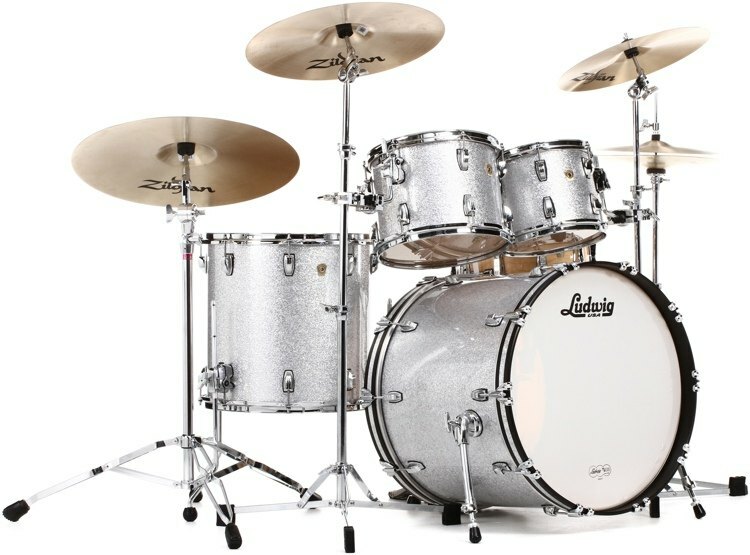 The Ludwig shells are made using their Radio Frequency Shell Technology. It’s a special gluing process when it comes to combining the different layers of wood that leaves a completely even surface with no air gaps. This leads to a very sturdy construction and unmistakable Ludwig sound that everybody knows and loves. This kit is about as versatile as they come. 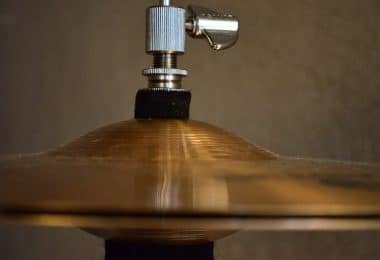 Depending on what kind of heads you put on and what kind of dampening you use (if any), you can get any sound imaginable and know that it will hold up great due to the great attention to detail put into the construction of these drum shells. The Renown series has been around for a while and has undergone a few revisions, the most recent of which being in 2016. The newly design 2016 Renown Series still features 7-ply maple shells and 30-degree bearing edges, but now it comes equipped with 302 hoops, which are the same hoop used on Gretsch's Brooklyn and Broadkaster series drums. 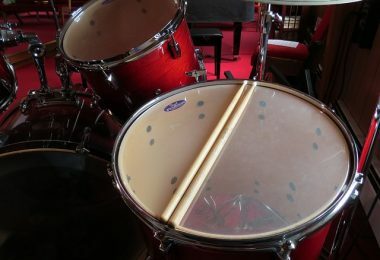 They produce the desirable focused sound like that of a die cast hoop, but are lighter in weight and less rigid, allowing the drum to better “breath” and achieve maximum resonance. 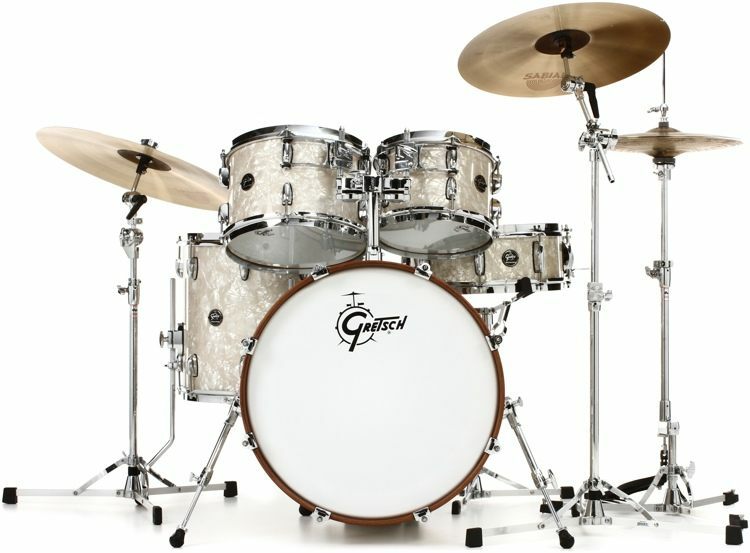 For some reason, Gretsch decided to go back to a drilled bass drum in this revision, meaning that the toms are mounted on a post that is drilled into the top of the bass. One can argue that this would lead to less resonance in the bass drum but in reality it sounds fantastic, so there isn’t much to complain about there. If you still prefer an undrilled bass drum then it would be worth looking into their Brooklyn series drum set. The shells come equipped with high quality heads - clear Emperors on the toms, a coated Ambassador on the snare, and a Remo P3 on the bass drum - so it’s good to keep this in mind if you planned on purchasing your own heads along with the kit. 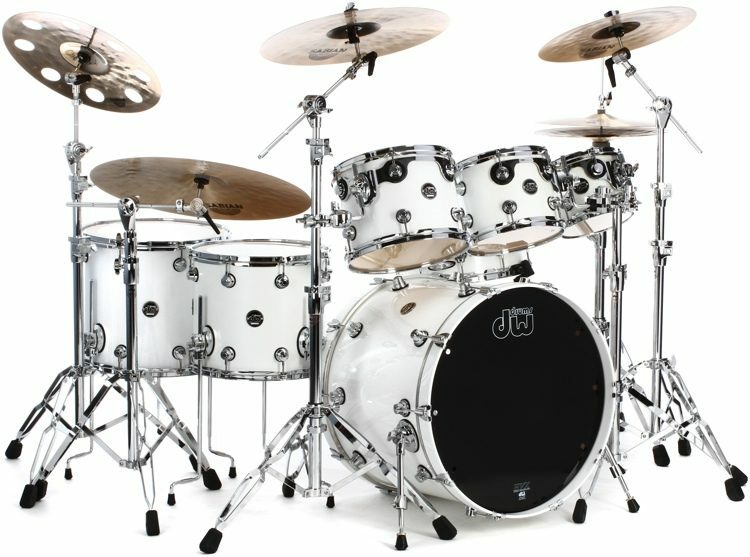 When it comes to finding the best drum set, it's smart to see what the pros are using and endorsing. Find your absolute favorite drummers and see what kits they love. 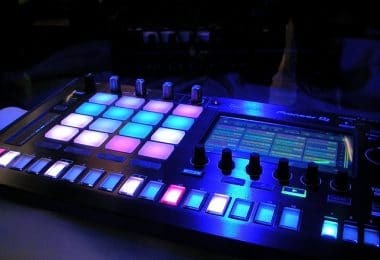 The hardware and quality is going to be top notch with any manufacturer at these price levels, so it's more a question of what style of music you plan on playing and if you kit is geared toward that style. Some are more old-school while others are more modern in their sound. Just keep in mind that by trying out different drum heads you can radically change type of sound. When it comes down to it, you really can't go wrong with any of these drum sets.